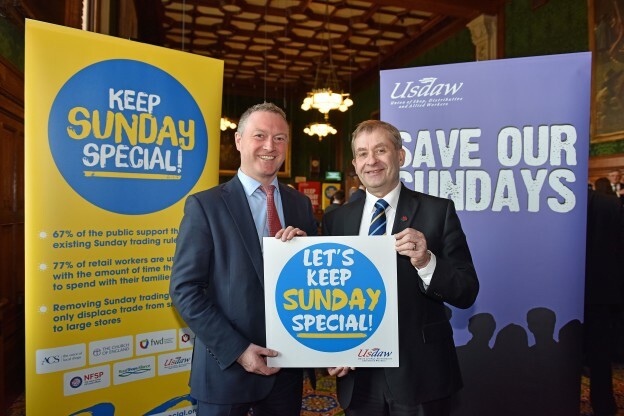 Steve Reed, Labour MP for Croydon North, has supported the Keep Sunday Special coalition’s campaign to oppose the Government’s proposal to devolve Sunday trading regulations. Members of shopworkers union Usdaw and convenience store owners met with MPs during a lobby of Parliament to explain how extended opening in large stores will reduce trade for small stores and lead to even more retail staff in large stores being pressured to work longer hours on Sundays. Labour will oppose the Government’s last-minute attempt to change the law in Parliament. Steve Reed said: “The existing laws on Sunday Trading are an important compromise between employees, communities, and businesses. It means everyone gets what they want: retailers can trade, customers can shop, staff can work – all whilst Sunday remains a special day.